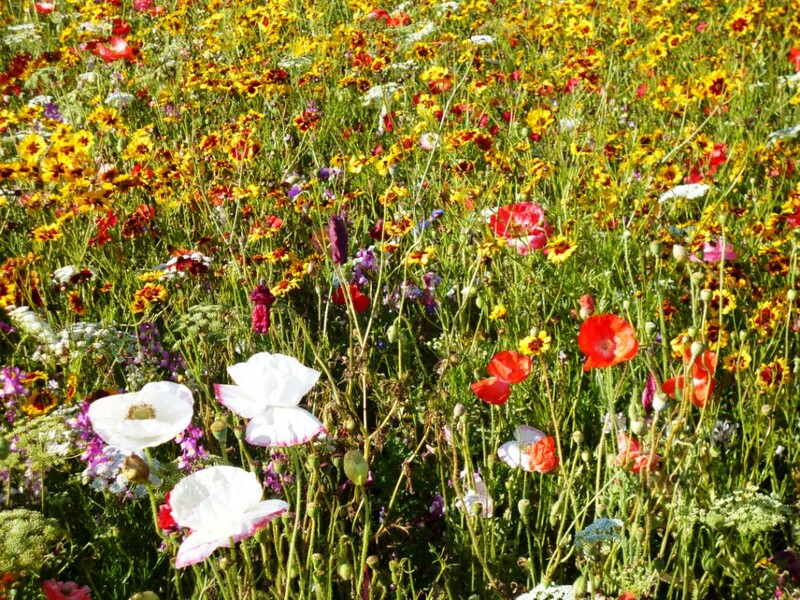 A meadow in bloom is an uplifting sight. 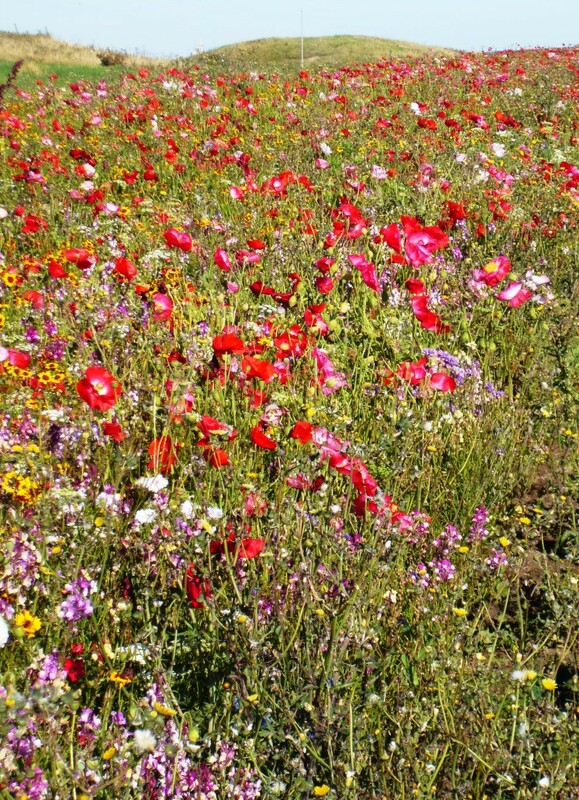 Poor soil is no handicap for a meadow. What you want to keep from among your flowers are strong grasses and pernicious weeds ~ both of which will romp away in good soil. Clear the ground, or at least dig out strong growing grasses and pernicious weeds ~ making certain you get out all of the root stock. Personally, on a large area I couldn’t be arsed with that and use weedkiller. Dig over, rotavate, plough the ground, and rake to a coarse tilth. Choose wild flower seeds suitable for your conditions ~ adding Yellow Rattle, which weakens said strong grasses. Water if you have too. Direct sow the seeds, a mixture of perennials, biennials and annuals ~ keep the damn birds and other critters off your seeds. You can sow any time from late summer until spring ~ but not during or right before frosts. 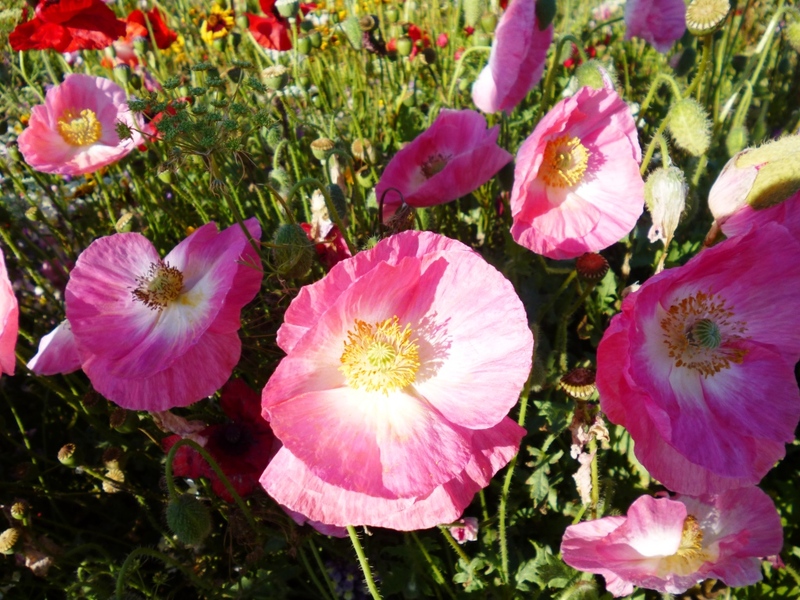 The first year the show of flowers will be annuals. 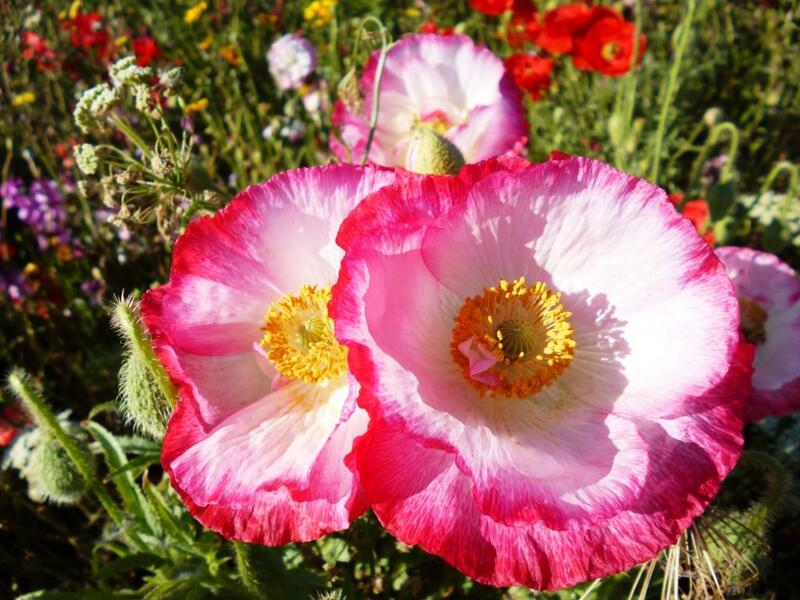 Don’t pull out anything you do not recognise ~ remember you will have unfamiliar bi-annuals and perennials coming through. 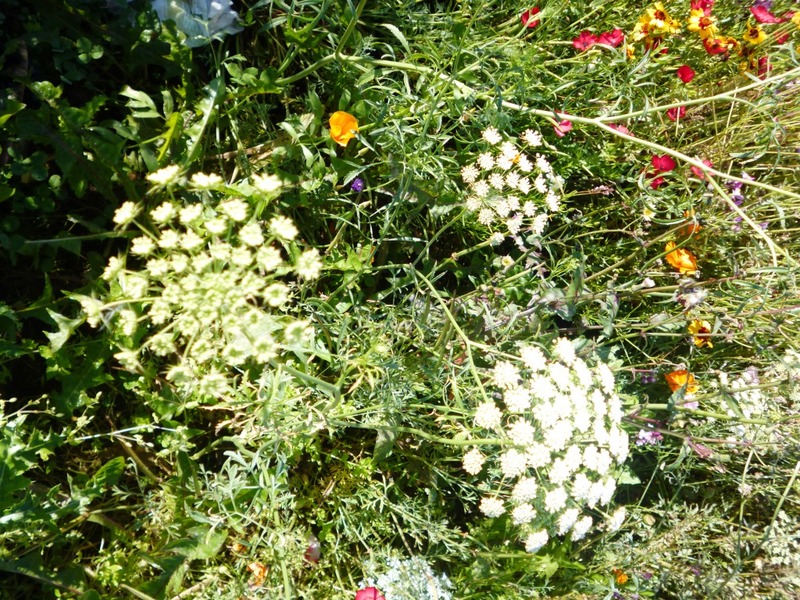 Collect seeds from your own area when you have the opportunity ~ just chuck them on your meadow. Removing pernicious weeds before they have a chance to self-seed / spread. Cut down the meadow when the last of the flowers begin to fade ~ only cut in dry weather and leave the hay on the meadow for a week / two weeks until it’s dried. This will ensure that all the seeds among the cut hay fall back onto the meadow. Remove the hay from the meadow and give it to your rabbit / chickens / horse. Taking away the cut hay keeps the soil poor, which encourages the growth of just your wildflowers. Low maintenance and cheap to establish. Requires no watering ~ maybe except in extreme drought. 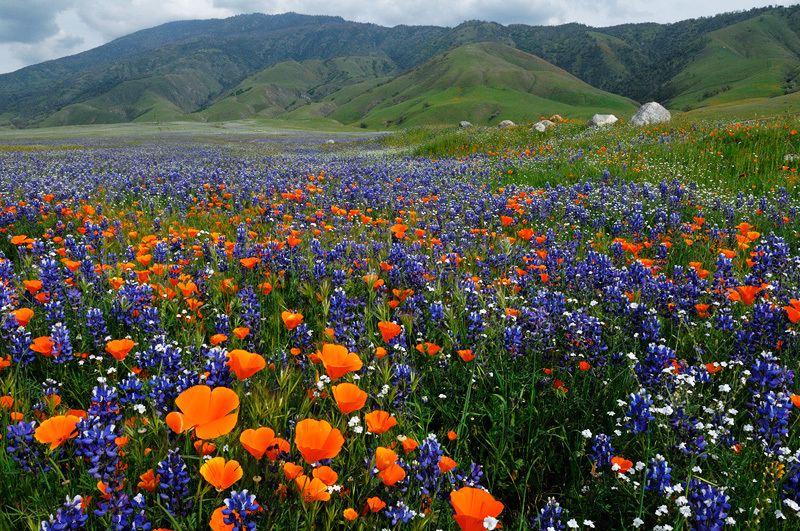 A meadow is pretty, calming, and a part of the real nature. Hence it will increase libido and desire if you are connected to the Earth Goddess. You have never truly made love if you haven’t loved among the meadow’s fragrant embrace.